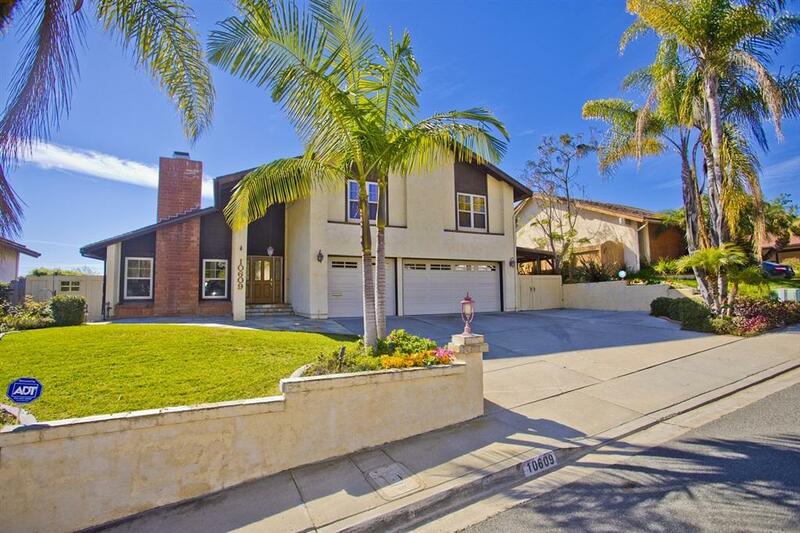 Updated 4 BD+bonus room, 3.5 BA pool home on cul-de-sac with tranquil tree-top views in desirable Scripps Ranch neighborhood. 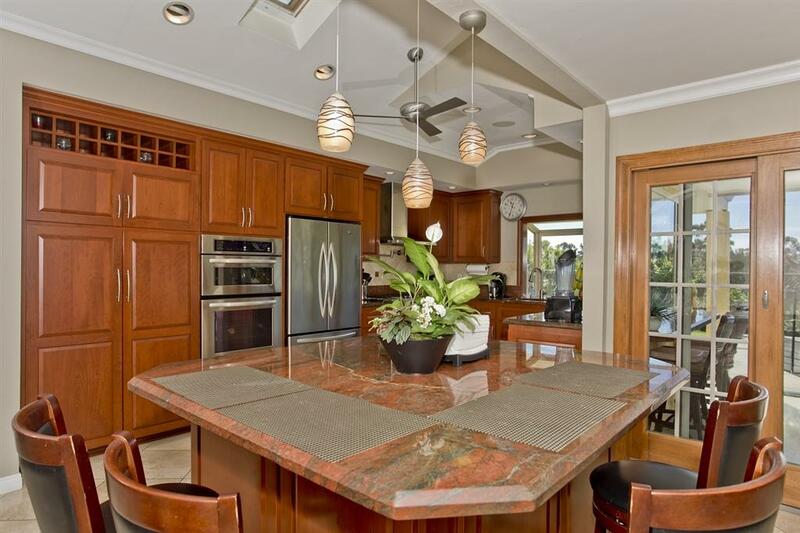 Exquisite travertine & hardwood floors, custom cabinetry, stunning granite slab counters, epoxy show-car garage floor treatment & more. Ground level master bed with en suite bath featuring Jacuzzi tub, rain-shower, sliding door to pool area on ground floor give the option to live like a single-story home. 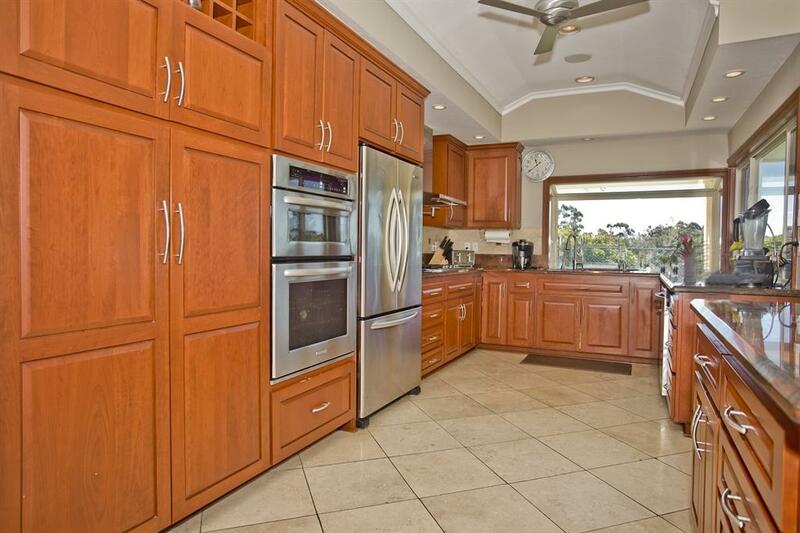 Beautiful updated kitchen with granite counters...(MORE below in Supplement) (CONTINUED from Public Remarks)...[Beautiful updated kitchen with granite counters,] light & perfect flow open space floorplan make living a breeze. Systems have been updated from lighting, ventilation, insulation, electric, plumbing & more. 3-car garage has room for a workshop, plenty of storage and rope controlled ceiling lift bike racks. 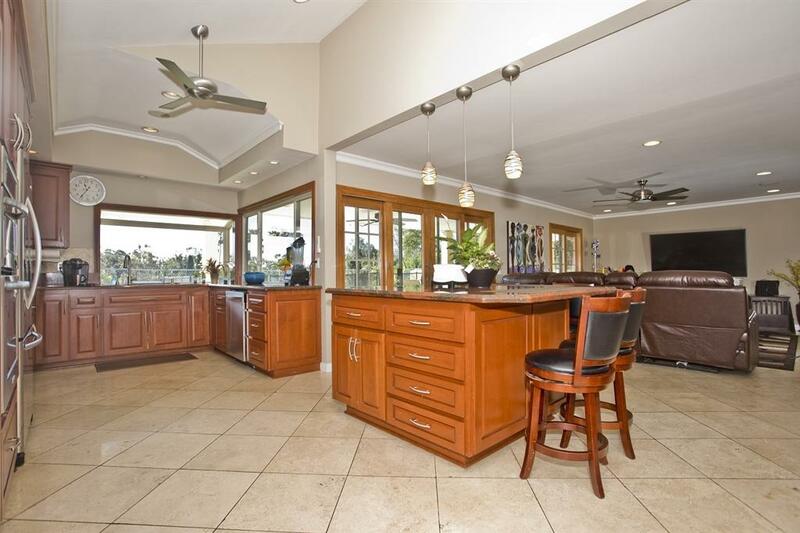 220-Watt outlet on side patio for running table saw/power tools with pool makes this home perfect for entertaining and enjoying San Diego lifestyle. Pool with built in Jacuzzi (resurfaced 2004) is in excellent condition. New large built-in Bull BBQ next to pool. Entire home water filtration system. Backyard drought tolerant artificial grass is the perfect place for all to play. Mature landscaping includes 11 palm trees and rear yard flowering vines for privacy. Magnificent property with no expense spared.